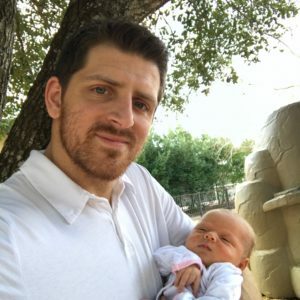 Charles Lubbat, married father of 3 beautiful daughters, is a Front-End Developer and Digital Marketer from Houston, Texas who is known for creating quality, brand specific images. He knows that Digital Marketing has a great deal to do with visuals and pays close attention to the details of the brands that he works with. Images can immediately catch the eye as we scroll through the web. As Charles Lubbat points out, a great image can grab the attention of people browsing the web in a split second, before words could even comprehend. That is why it is so important to create the perfect image for your brands. There are 5 Graphic Design tips that Charles uses to create quality, brand specific images. The next time you are browsing the internet, take a moment to recognize which images draw you in. Chances are they have clean, simple lines and are relatively clutter free. In general, people are drawn to simplicity and feel repelled by clutter. Simplicity makes us feel in control, clear, and helps us know what to do next (even if that is just what word to let the eyes rest on). These feelings are positive. In contrast, clutter makes us feel frustrated, anxious, and overwhelmed. We will quickly move away from a wordy and confusing website, because our eyes do not know where to rest or what to do next. When working with images for your brand, keep the design simple. Use a lot of negative space, clean lines, and minimal text. If you have no idea for design, your best bet is to hire a professional. This is much easier and cost effective than it sounds! You do not have to sink great ammounts of funding into creating quality images. You can hire a graphic designer on fiverr, or another site built for freelancers and business owners to connect. Find an artist that you enjoy working with, and test out their work on your audience using simple A/B advertising testing techniques. Tools that are available online can really improve your graphic design abilities. Try out GetStencil.com, Canva.com, or BeFunky.com if you have the desire to make your images on your own. You do not have to be a graphic design expert in order to use these resources to create great designs. They offer templates to help get you started, and allow you to create a project that you can be proud of. The process is intuitive and easy to figure out for beginners. When you create graphic design images related to your brand, whether that be for an ad you are putting up or a featured image on your blog post, you should always stick to a single color palate. This will consist of anywhere from 1 to 3 foundational colors, and then you will use them in varying tones. This will guide you to create images that are true to your brand. Print out your color palate and hang it on your wall, or tape it to your laptop frame. You need to look at it often! Create an attention grabbing image by using contrasting colors. This does not mean that you should stray from you palate! Instead, use your palate but vary the tones so that you have some very light elements right next to some very dark elements. Charles is a law school graduate with over seven years of marketing/design experience. Charles has the discipline, skills, creativity and passion to create beautiful and functional user experiences on the web. BRANDING - Identifies opportunities and implements strategies to strengthen your brand voice. You can visit Charles Lubbat's website at http://charleslubbat.com/.